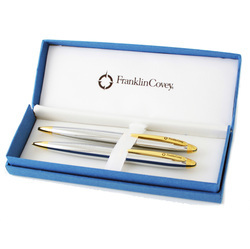 This stylish and practical ball point pen and pencil set makes the perfect gift for any special occasion whether it's for Father's Day, Birthdays or to celebrate that new job or promotion. Add a name to be engraved on each pen to make it an extra special gift. Ball point pen is black ink.